KORAI will hold the first exhibition in Europe titled “Sense of Nature” from 8th April to 14th April 2019 in Milan, Italy. 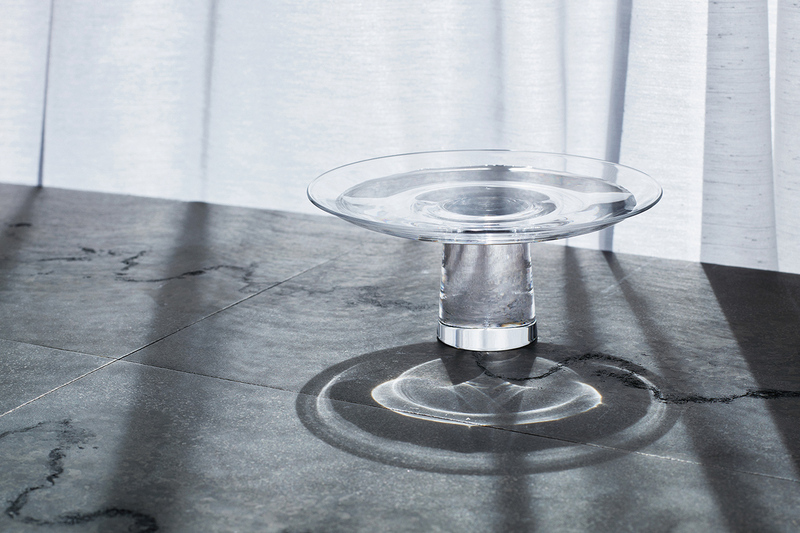 KORAI is a brand of Japanese craft that embodies the concept of “Ryo” which means coolness. In Japan, there is a culture of appreciating coolness from nature and the word “Ryo” offers this unique Japanese view of nature. KORAI express the harmony of “nature and home” through crafts from all over Japan and convey the beautiful appearance and tactile characteristics of Japanese crafts, delivering coolness to the cities of the world. In this installation of “Sense of Nature”, we will exhibit two art pieces which exudes the calm feelings of wind and light, one being the “Hydrangea- Water Vessel” which is a glassware and a new art piece “Ren” that will be revealed at the exhibition. 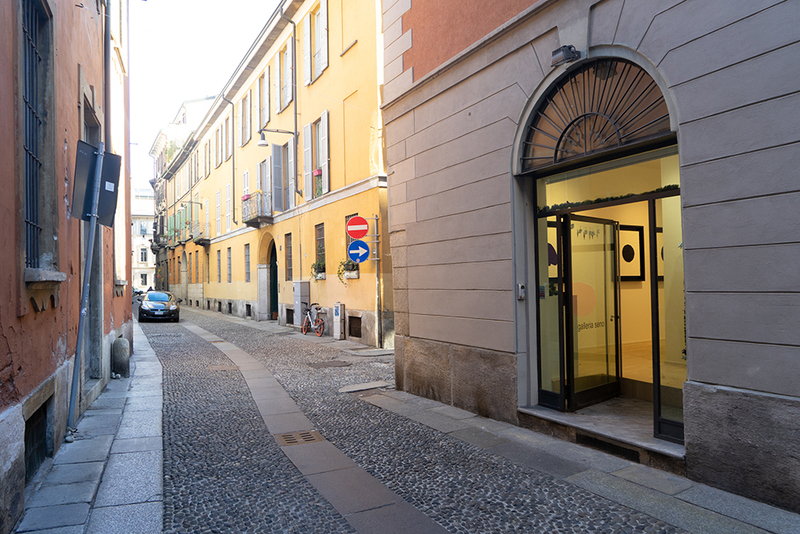 The exhibition will be held at “Galleria Seno” in the center of the iconic Brera district in Milan. Date: 8th April (Mon) – 14th April (Sun. 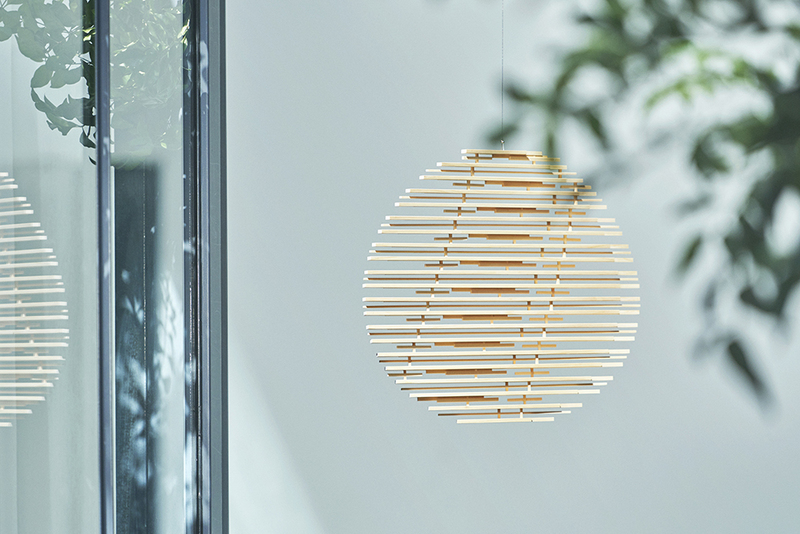 ), 2019, 10:00 a.m. – 7:00 p.m.
We will launch a new senseware “Ren” made of wood at our exhibition titled “Sense of Nature”. 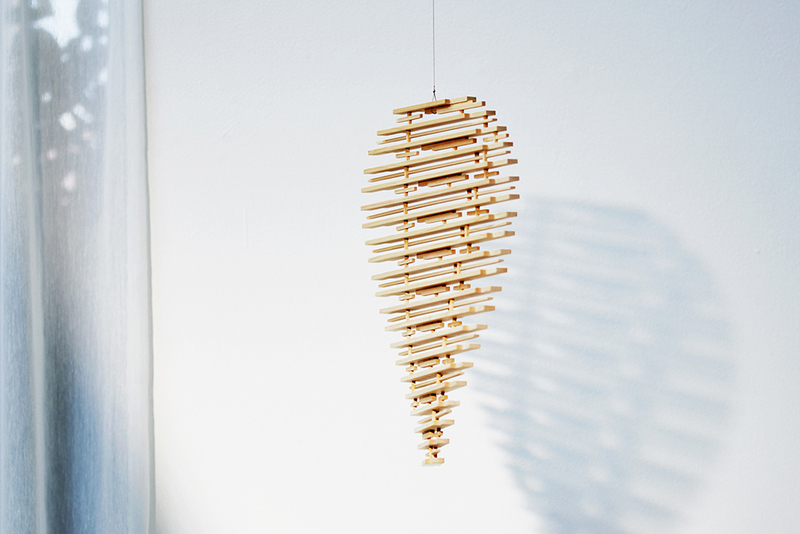 “Ren” is a wooden mobile which is made by the collaboration with Mr. Hiroaki Usui, a woodworker from Kuroda Kobo Co., Ltd., who specializes in restoring and repairing national treasures, like “fusuma” (Japanese sliding door) and “byobu” (folding screen). 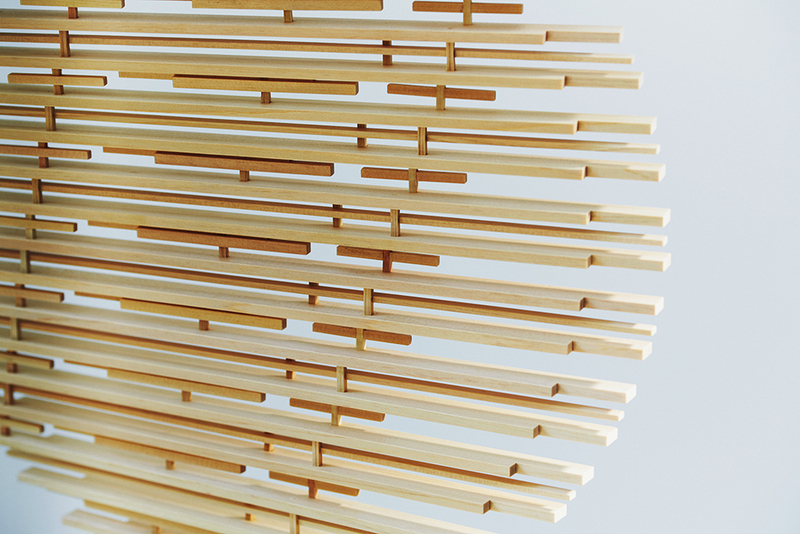 “Ren” is an art piece that reflects the ripple on the surface of the water and light filtering through the trees by incorporating elements of Japanese original fittings such as shoji (room divider screen made of translucent paper and wooden lattice frames) and fusuma. 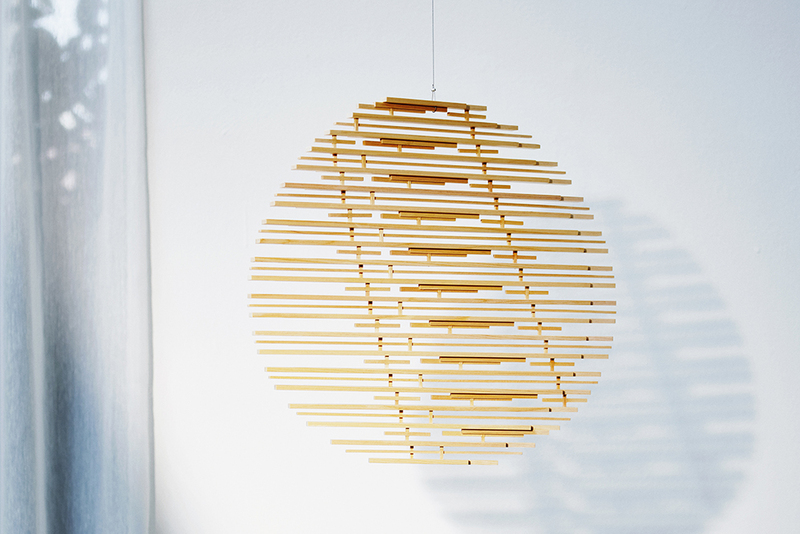 By placing the wooden art piece indoors, people can sense the beautiful light that filters through between the carefully assembled wooden bars, and enjoy the beautiful shade of nature in the house. HULS ASIA PACIFIC PTE. LTD.